Infernus wrote: 10 of the next 15 films only received a single vote. And they are the last 10 films to have received only a single vote. This is just as high as that's going to take you. All of these films were in the Top 10 of the one person who put it on their list. For some reason or the other, most probably the others not having seen them, nobody else put it on their lists at all. So this is a great chance to discover some really great new films. This is also a time to be tense and worried. Worried that one of your favorites ended up so low down (although honestly speaking making it to the top 85 is no minor feat) due to lack of recognition from others. So keep a close watch. Not the next one though. The next one is an MCU film that received 3 votes! Indeed MCU manages to make an appearance in the top 100! Any guesses as to which one this will be? And so we have it, the first superhero film on the list, unless you wanna count Birdman as one. And it's an MCU film. This is also the highest grossing film on the list yet with a cool 770m$. Obviously this isn't the highest on the entire list. Let's see which one trumps this. This is obviously not the end for Superhero films on the top 100 and a few more are still to come. Which ones and where exactly is the only question. This film sees a major drop from last year though falling down to nearly double the rank it managed last year. This is one of my favourite Superhero films too. My second/third favourite in The MCU. It missed my list though despite making it last time round. I do have three superhero films on my list. Just none from the MCU even though 3 - Guardians (66 on my list), Civil War (79) and Infinity War (64) did make it to my top 100 and came very close to my top 60. 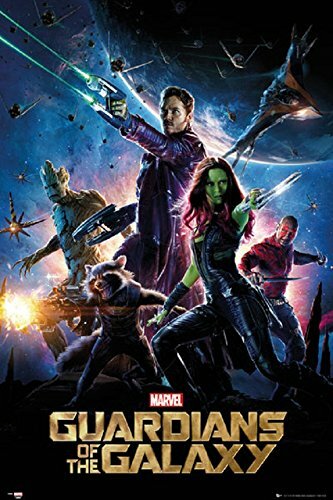 Guardians kind of changed the game as a Space Opera Superhero film that really worked. The comedy hit it well and the ensemble was the best any Superhero film has ever seen. This is one of those superhero films that I think definitely deserves to be on such a top 100. And here we have with us the first Hindi film on the list! And a very very fitting choice indeed! 3 Idiots is one of the most loved films in India across all demographics and deservedly so. One of those films that you can watch as many times as you want without getting bored. The film is very funny and very heartfelt. A young teacher disappears while on a vacation with three middle-class families to the coast of northern Iran. An interesting appearance at this point of the list. Nice to see we have a healthy mix of commercial blockbusters and indie foreign cinema. 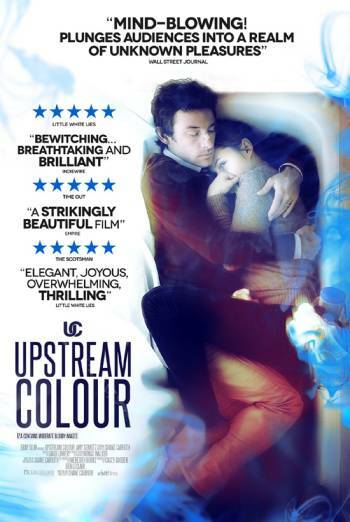 This is another film not in English as it's an Iranian film primarily in Persian. While most of you may not have heard of this one you may have heard of another film from the same director - A Separation (which sadly didn't make it to the list at all), which won the best foreign film Oscar in 2012. Asghar Farhadi is a celebrated Iranian director and definitely deserves more recognition internationally. Do give his films a watch if you're in the mood to try some foreign cinema. I haven't watched this particular one either so I can't say much about it but it's definitely going high up on my watchlist. This is also the lowest grossing film on the list yet. While I do agree on the overrated part there's no doubt that it's a widely loved film and as such I'm not very surprised that it made it here. Personally I love the film myself too but there is indeed no denying that it's quite flawed at places, especially the third act. It is indeed just a crowd pleasing entertainer but the thing is... that's all it ever tries to become. It doesn't try to fool either itself or us. As such while it's not a film that will stand up to an elitist attitude, it's definitely one that works very well and is good at what it sets out to do. This here is a film I'm very pleased made the list. Only one person had it on his list but he had it at number 8. That was enough to get it this high up. This is an indie experimental sci fi film. That alone should be enough to sell this film to you. And if you're still not sold, just read the plot synopsis above. And if even that doesn't do it for you here's a fact for you - the director behind this is the same one who directed Primer the relatively better known film that's famous across cinephile circles as probably the most mindfuck film ever. Funnily enough this broke the bar for the lowest grossing film on the list yet just after the previous film set it, grossing 30 thousand dollars less than About Elly. Just as Detective McClane lands in LA to spend Christmas with his wife, he learns about a hostage situation in an office building. Hans Gruber is the culprit and McClane's wife is one of the hostages. The next film is another superhero film. Any guesses what it might be? Doctor Strange or iron man maybe. S.H.I.E.L.D. 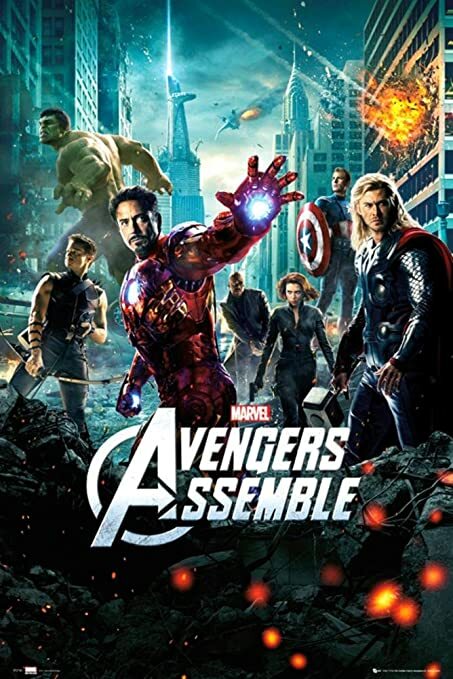 leader Nick Fury is compelled to launch the Avengers Initiative when Loki poses a threat to planet Earth. His squad of superheroes put their minds together to accomplish the task. And here we have MCU making another entry with the film that changed the superhero genre forever. I don't love the film as much as some others but I don't deny it was indeed a pretty good film. And its ambitiousness is undoubtedly something to be applauded. Kudos to it and to the Marvel studios for willing to take such a risk. The success that their risk brought about completely revolutionized the world of cinema, for better or worse, with a new super hero film now coming out every few weeks. Films usually have trailers for marketing. This film was advertised by 5 full length feature films. The ensemble cast worked very well together and the world loved the film to bits. It grossed in excess of *1.5 B dollars* and is now the highest grossing film on the countdown, double the previous highest which was also another MCU film. This is still not the end for superhero films on the list, obviously, but is it the end for MCU? That's for time to tell and for you guys to predict. Sagar1098 wrote: Doctor Strange or iron man maybe. But is this enough for you guys to guess the film? 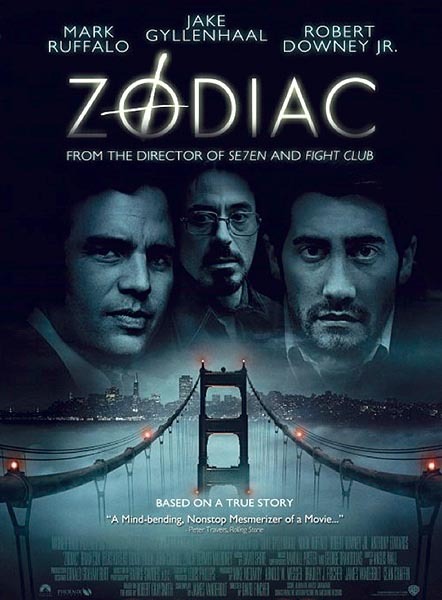 Robert Graysmith, a cartoonist by profession, finds himself obsessively thinking about the zodiac killer. He uses his puzzle-solving abilities to get closer to revealing the identity of the killer. Ah, another unusual film. This is a strange kind of Murder Mystery Thriller. I won't tell you how so though, you gotta watch it yourself. It's got a great ensemble cast that works very well together. Yet, this film isn't everyone's cup of tea. It's highly regarded by critics now but even they didn't praise it half as much back when it was released. The film deserves a watch, definitely, if only to see what the fuss is all about. The list got one more vote than last time yet it dropped 10+ places. Only goes on to show how much heavier the competition is this time. This is also Fincher's first appearance on the list. One of my favourite Director's and a person who's given us masterpiece after masterpiece, I definitely hope we'll see more of him on the list. Next we have two more far lesser known films. Each only made it onto a single list. Each was ranked 6th in it's list. Look at your 6th ranks y'all. 2 of them are getting out! Bruno is the eight-year-old son of the commandant at a concentration camp during WWII. His friendship with a Jewish boy he meets across the fence leads to unexpected consequences. 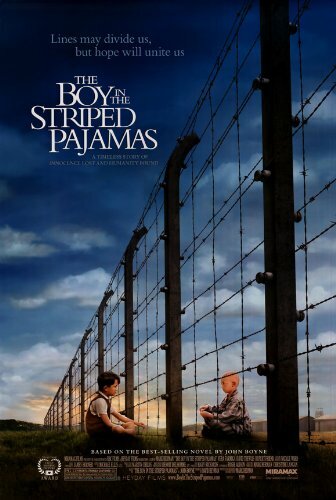 A very moving film about the holocaust and how it affected the lives of innocent children, seen from their perspective no less. Not very well known and not very critically acclaimed but I've met quite a few people who have really loved this film. Do we have any other holocaust related film coming up? I sure hope so. When majority of the students participated in the Paris revolution, Theo and his sister Isabelle felt content at their grand house. However, things change when both adopt a Californian student. The first film from the last two years makes it appearance. 2 more to go. This is a rare case where the sequel has trumped the original as the original only made it to rank 227. That was also only on 1 list (mine) but down at rank 57. 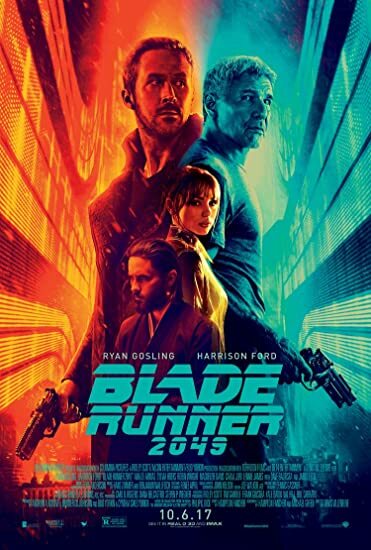 This is widely considered one of the best of the last year in cinephile circles and was highly critically acclaimed but for some reason wasn't as successful commercially, especially in america, as the sequel to Blade Runner would expected to be. Ah well, society's kind of like that. Dennis Villeneuve has been behind another really good sci fi film, Arrival, released a year before this and also one of the best films of its year. The next one's an animated film, the first (but is it the last?) in the top 100. It was on three different lists. One of my personal favourites and one that should, and from recent revelations it appears that it very well could, have been a lot higher up. Both the blade runners and Zodiac out ?.